Who is in for Halloween? ME!! It’s once again the time of the year when you see some ghost everywhere on the streets. Besides of scary, some you may find them cute instead, especially the decoration that you found in the malls weeks before Halloween. As Halloween in Malaysia is not as popular as oversea and sometimes you may find the decorations, food or costumes are quite pricey and hard to get. 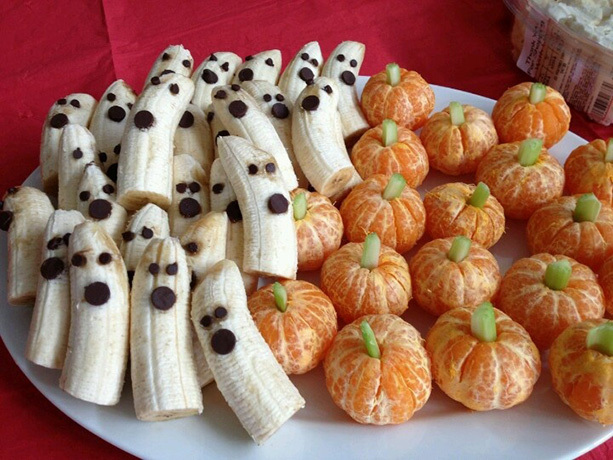 This year, why not creating your own and we have many ideas for you to hold your own budget Halloween house party! 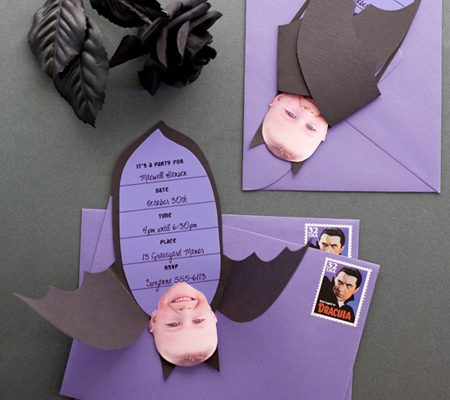 Create your own invitation by adding a little personal touch with your face on it as a Dracula! 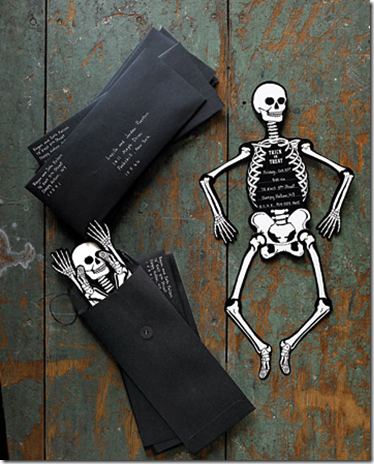 Or an envelope with skeleton, easy and creative! You will need color pen and we sell here we are selling at RM4.50 for a set of 12! 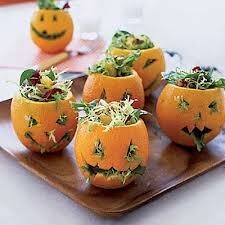 Salad in orange skin that looks like a pumpkin. 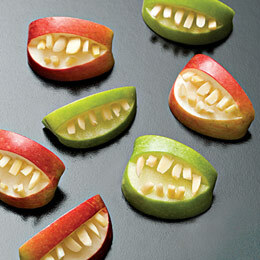 Vampire bites are easy to create by using apple with sunflower seed. 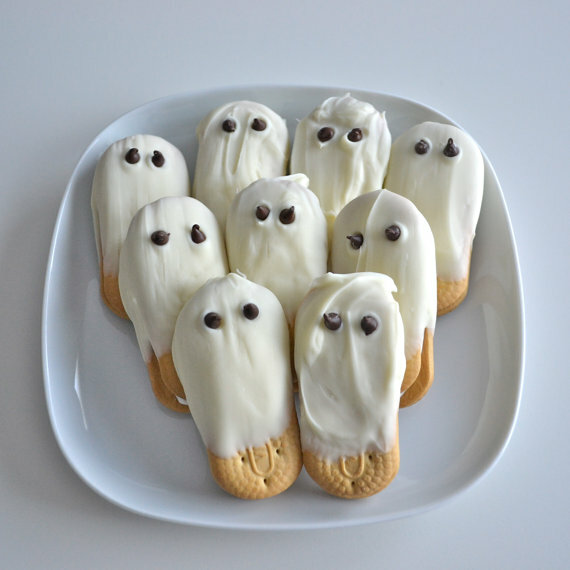 Another super-de-duper simple Halloween dish. Some spaghetti with meat sauce in a “jack o’lantern” pepper. You need a knife to shape them, at MR.D.I.Y. you can get this multi-function knife at RM 4.90 . Biscuite+White Chocolate (melt them)+ chocolate chips and TADAA! Here you have it. Try this Banana+Chocolate chips and Orange+cucumber stick! Get a pack of rubber gloves and you can create this spooky hand ice by pouring some water in it and put inside the fridge. 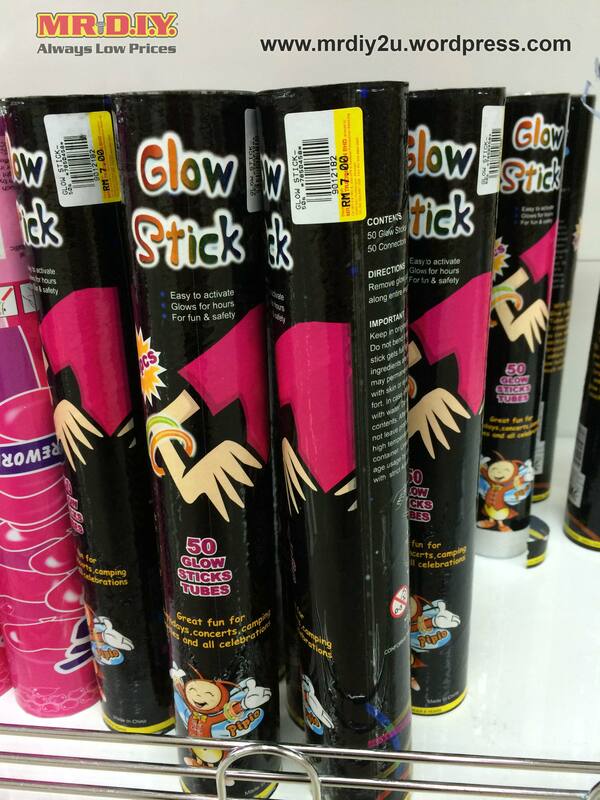 It’s easy to create, just pop the glow-in-the-dark sticks into the balloon and inflate it. Make sure you activated the stick before inflating the balloons. 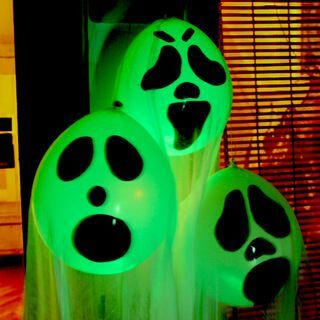 Lastly draw the ghost faces on the balloon and hang it at the wall or from the ceiling. 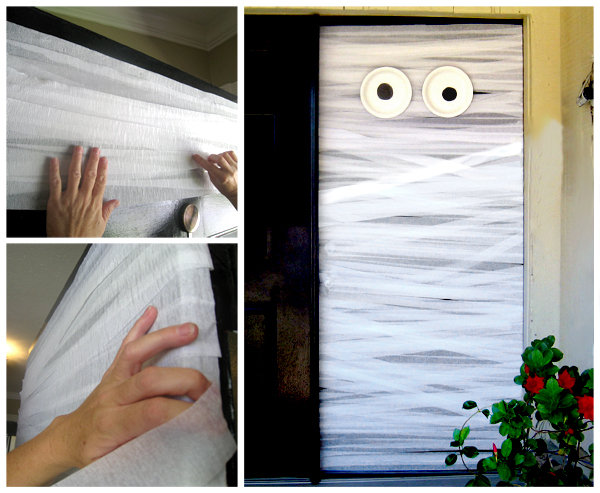 All you need is 4 rolls white crepe paper, Black marker, 2 white paper plates and lots of Double-sided tape! We have marker in 6 colors at RM 5.50 only. Are you inspired? Share wih us what you have created this Halloween! This entry was posted on October 25, 2015 by mrdiy2u in MRDIY, Party and tagged balloon, colorpens, cookies, crepepaper, DIY, ghost, gloves, glowinthedark, halloween, ice, ideas, invitationcard, marker, multipurpose-knife, plates, spooky.